There are some who feel that they can’t do minimalism because it looks very bare and plain. The truth is, going down the minimalist route doesn’t mean you have to give up all of your belongings. It’s just a way of life where you’re creating a simple and calmer environment at home and in your life. Here’s how to get started and you’ll find that it’s not that scary! Going minimalist doesn’t mean you can’t own things. You still can own belongings you love but you collect them mindfully to create an uncluttered environment. 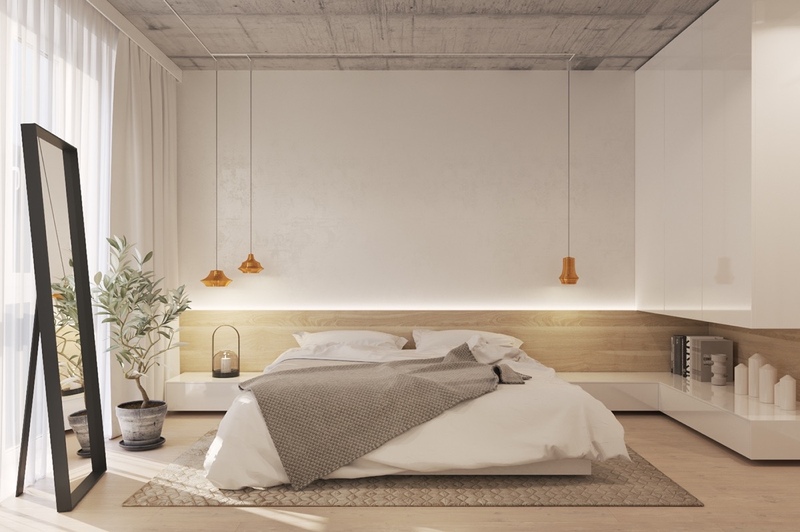 You’re editing the room to be more simplified so the room should still feel warm and cosy, and not look like a prison or too clinical with a single mattress in the middle of the room. Long story short, you’re clearing space for things that matter. Neutral colours to go for are creamy whites, beiges and pale greys because it looks clean and simple. While most minimalist designs seem to contain almost no colour, you can still use colours to achieve the minimalist look. Just stay away from bright and clashing colours because it just goes against the relaxing vibe minimalism is offering. 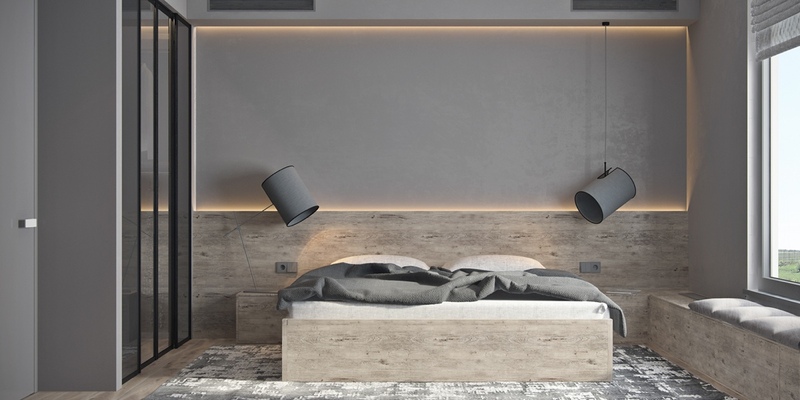 A minimalist room also looks brighter with help from natural light. Natural light not only saves electricity bills and the environment but also makes the room feel open and modern. To let light in and still cut out some glare, have light and sheer curtains or frosted windows. The green leaves from the plant will stand out in a neutral coloured room. Other than creating interest in the room, having plants just seem to make a house feel more alive and fresher. When it comes to plants, you can either get the beautiful potted trees or interesting shrubs. Large furniture such as the bed frame and wardrobe can take up space in the room. 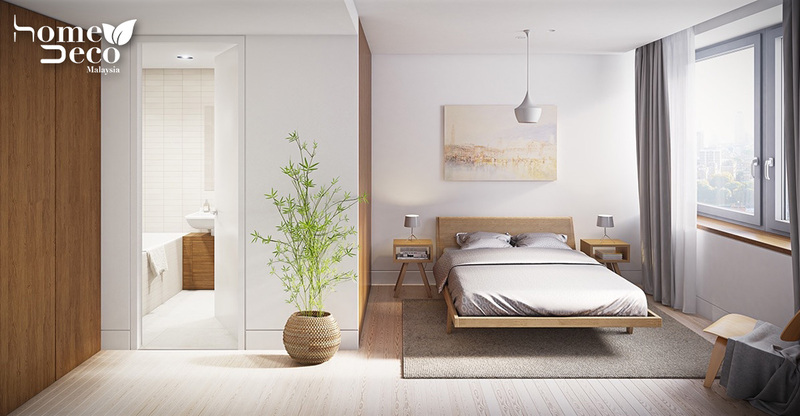 To help achieve a minimalist feel, try getting simple bedframes or go frame-less altogether. Even for the dressers and drawers, try to pare it down to a single dresser or low drawers. If you’re not able to do this, try to keep large furniture away from the bed as far as possible for a clutter-free ambience. Going minimalist doesn’t mean the room can’t be interesting. To help create some interest, use pendant lamps for lighting or throw out a basic rug on the floor. Having wooden furniture in the room also helps add a nice and warm colour.